It has only been a couple of months since the Nexus 7 launch but rumours are abound that a 3G version is currently in the works and would be launching soon. Currently, there are no other expected hardware changes to the Nexus 7, other than the inclusion of 3G. With the imminent launch of the 7.85 inch iPad Mini and the new Amazon Kindle, this move by Google could help maintain the tablet’s popularity. At its low price point, the Nexus 7 could be the next tablet highly sought after by companies to distribute to their staff who require data-connection on the go. It’s a great tool for field engineers or sales staff. Comparing an ASUS transformer 3G vs wifi, the price difference was $100. I’m guessing it will be similar, so you might be looking at our telcos offering it for 400sgd. Do I need 3G on my tablet? I have had 2 tablets without 3G and I never found myself looking for a 3G connection. I always have my phone in such a situation. So I recommend sticking to the non-wifi version. But hey, at least there is one additional option now. On another note, one of the surprises of Comex 2012 was the announcement of Starhub giving out free Nexus 7 for contracting with them for their Broadband services. Starhub has informed its customers that the collection date would be from 30 Oct 2012. This is likely to be the launch date for the Nexus 7 in Singapore which is still a good two months away. Why wait? With international warranty by Asus available and the expected high launch price in Singapore, the Nexus 7 is still a bargain if you get it from USA and shipped it over through vPost. Early adopters get a free US$25 Google Play credit and US$10 prepaid NFC card from Google. We aren’t sure how long these promotions would last so for Nexus 7 owners, do login to get them before they expire. 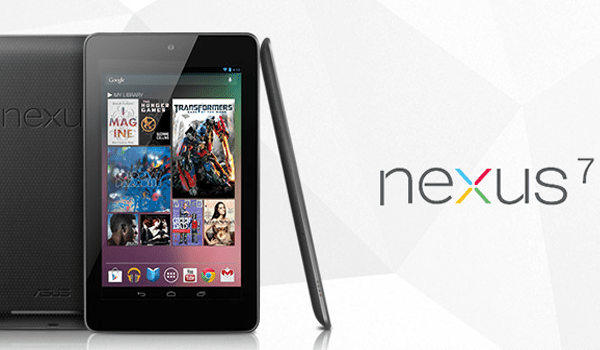 Already own a Nexus 7? Here are some of the gear that we think are important for your Nexus 7. Exact price of this tablet in singapore? $399 for the 32gb. Available from Courts.